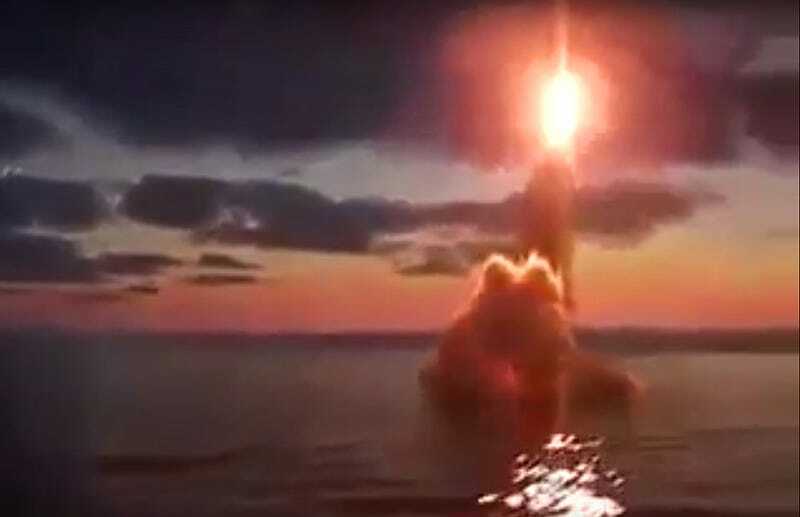 Russia’s love for anti-ship and anti-submarine missiles is no secret and a wide variety of weapons have been developed to service these missions. Yet the RPK-6 “Vodopad,” meaning “Waterfall” in English, also code named the SS-N-16 “Stallion” by NATO, has to be one of the most interesting to watch in action. It cold-launches from the ship’s torpedo tube via compressed air, then it disappears under the water’s surface before blasting off in spectacular fashion on the way to its target, which can be almost 60 miles away. It can be armed with a 400mm torpedo, a unitary warhead (for attacking surface targets), or a nuclear depth charge. This makes the missile very versatile, especially for smaller surface combatants that can only accommodate a single missile system. In its submarine launched version, known as the RPK-7 “Vodopei,” the SS-N-16 is loosely similar, although more advanced and not a rocket but a cruise missile, to the U.S. Navy’s SUBROC submarine launched rocket. The SUBROC could also carry a nuclear warhead, and just to give you an idea of how destructive such a weapon could be, check out the video below.